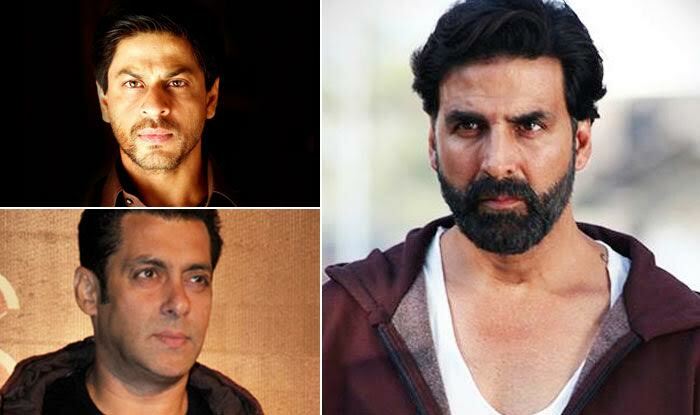 Akshay Kumar beat Salman & SRK, and become the most Bankable actor in Bollywood :The Bollywood industry has been ruled by the three Khans in last two decades. The trio of Shah Rukh Khan, Salman Khan and Aamir Khan have proved their worth in numbers of the occasion with their superhit flicks. Although, Bollywood has been Khan prone industry, but there is another actor who is making his name as the most bankable actors in Bollywood. Yes, he is above than SRK and Salman Khan. The actor is Akshay Kumar, and he is giving more revenue to the Bollywood industry. According to the Akshaye Rathi, the trade expert Akshay Kumar is the most bankable actor. We know that Salman and Shahrukh are reaching the landmark of 200+ crore with their movies, but they are only working in 2-3 movies in a year. On the other side, Akshay Kumar is coming with new movie withing the gap of 2-3 months and every single movie of him is doing a considerable amount of business around 80-90 crores. And , if you will calculate the cross average of 90 crores for per movie, then you will come to know that Akshay is way ahead from three khans. Also, Akshay’s last 10 flicks have been successful ventures as compared to Salman and Shah Rukh had given some flops with Jai Ho and Dilwale. Well, this survey has surprised everyone but is understandable as the amount of hard work he is doing continuously in this industry for last 30 years.